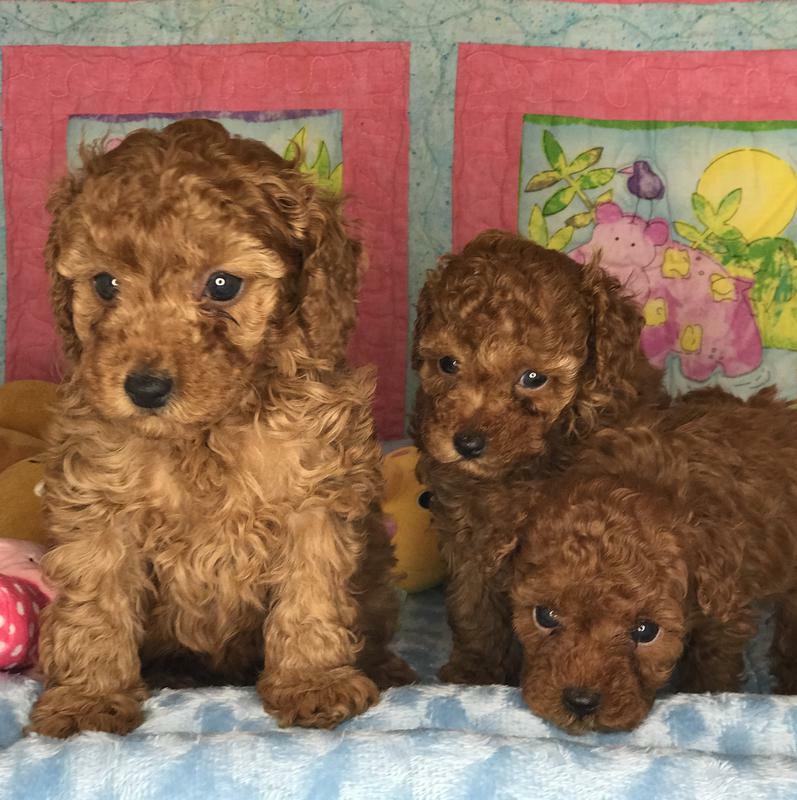 Breeders of Happy, Healthy, Toy Poodle Puppies! I live in Virginia with Melissa. You can reserve a puppy with a deposit. We accept paypal and credit cards! We are located in Maryland just outside Washington DC. We don't ship our puppies! We don't ship our puppies! We like to meet the prospective families that will bring one of our precious puppies home. Some families fly in and out to pick up their puppy. 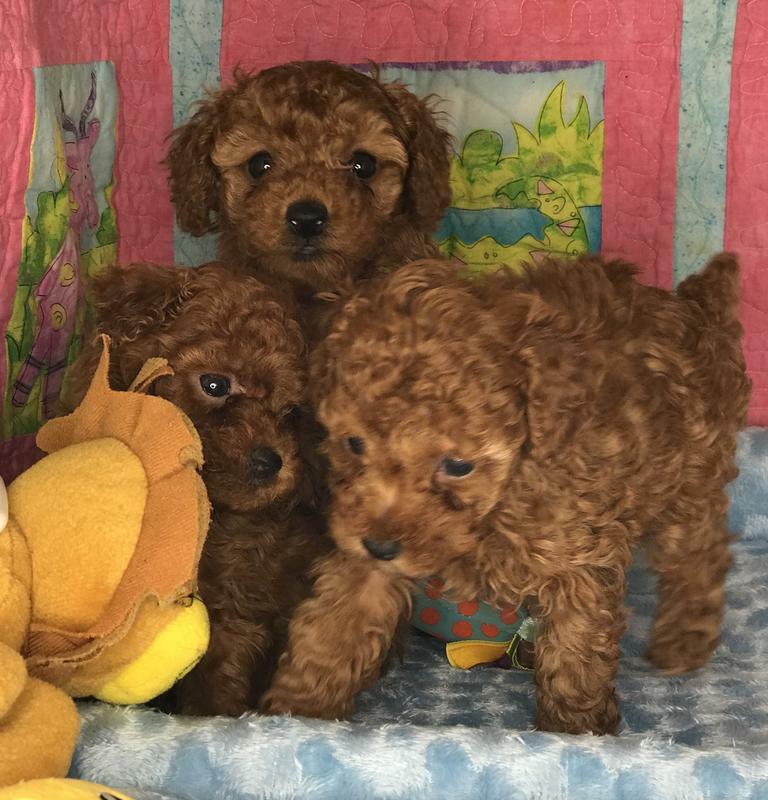 Parti Poodles (parti-colored) are pure breed (full blooded Poodles). 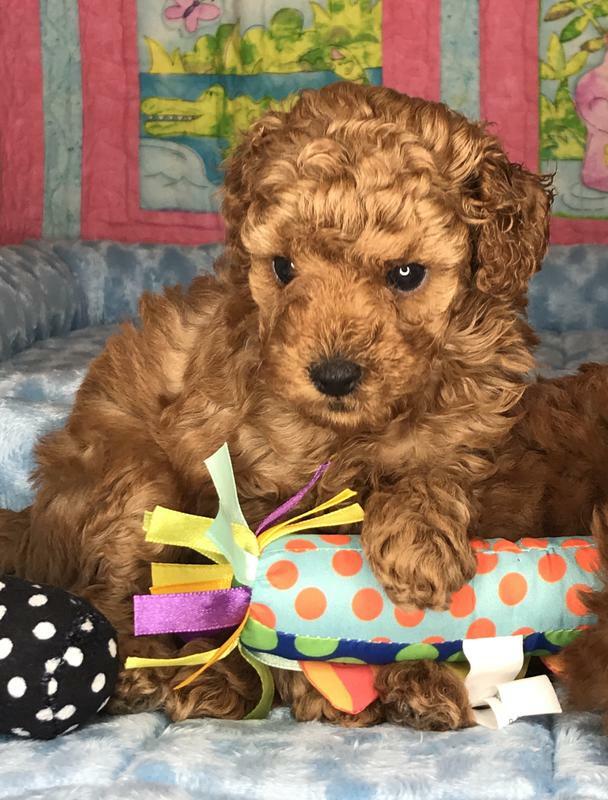 Our Parti Poodles are registered with the American Kennel Club (AKC). The AKC does not allow Parti Poodles to be shown in the conformation ring but they are accepted in AKC obedience competitions. 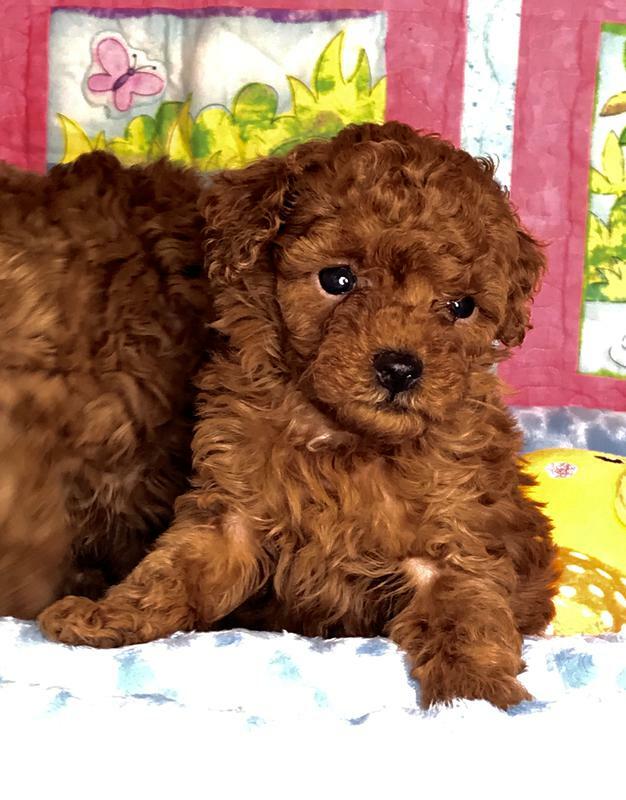 The United Kennel Club (UKC) accepts Parti poodles in the conformation ring (The UKC is the second oldest and second largest dog registry in the United States). Parti poodles are elegible to participate in the conformation ring in Europe. 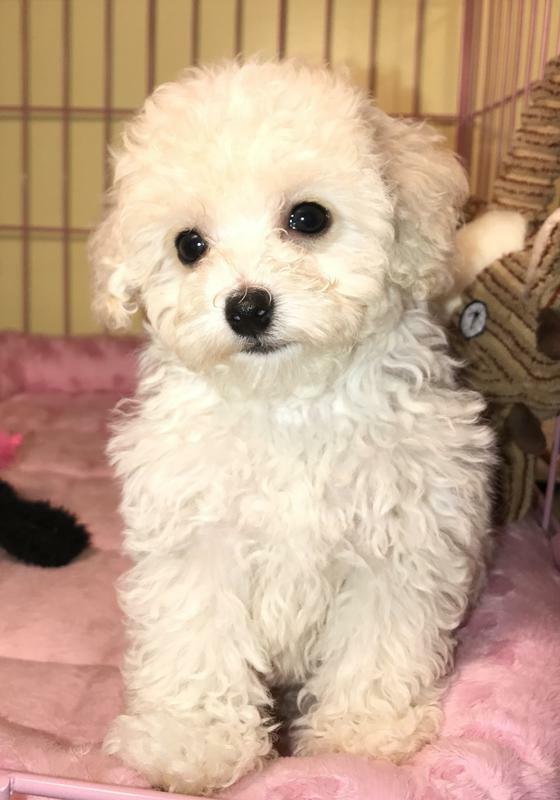 Due to their unique and adorable looks Parti Poodles are becoming more popular every day. Early Poodles were either solid or black and white. There are many famous paintings from the 1800's that depict Parti Poodles. Puppies are born blind and deaf! They open their eyes at 2 weeks and their ears around 3 weeks old! Puppy's pictures are close-ups and the puppies appear bigger in the pictures than they really are! 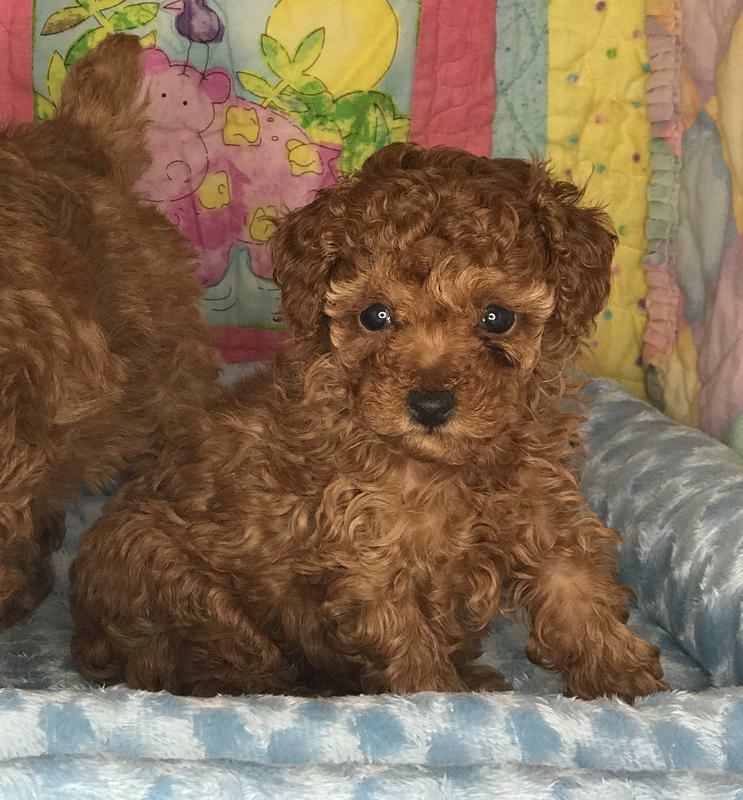 About Teacup and Tiny Teacup Poodles. Teacup moms often need C-sections to deliver the babies ($ 2,500.00 for emergency C sections is average cost in our area). After a C section teacup moms can't have anymore babies. 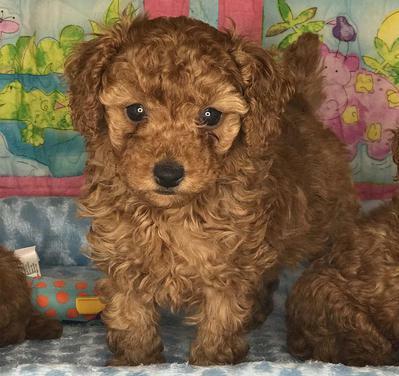 Teacup moms usually have one or two babies (as compared to 4 to 6 in larger toy poodles). Tiny teacup and teacup babies are often to weak to nurse and have to be suplemented with formula evey 2 to 3 hours day and night for the first 2 weeks, (if we are lucky they will start sucking on their own at one or two weeks old). Teacup and tiny teacup puppies are prone to hypoglycemia (low blood sugar) because their tiny little livers can't store Glycogen (glucose reserve in the liver). Teacups and tiny teacups usuallly outgrow hypoglycemia by the time they are 4 months old. Hypoglycemia can kill a puppy in a few hours. If a teacup is infected with Coccidia or other parasites before they are 12 weeks old, they will go into hypoglycemic shock and die in a very short time. Teacup mother often don't have enough milk to nurse their puppies. Many teacups and tiny teacups die in the first 2 weeks of life, even when breeders provide around the clock 24 hr a day care for the first weeks, because puppies need their mother's calostrum (first milk) as a source of antibodies to fight diseases until they can be vaccinated. Lately we have been more succesful raising teacup and tiny teacups by helping the newborns latch to their moms and holding them while they nurse. This is very exhausting for the breeder since we have to take turns and someone has to be next to the mom and pups all the time until the pups are stromg enough to latch and nurse on their own (usually at 2 weeks). Very tiny red/apricot female. SOLD. 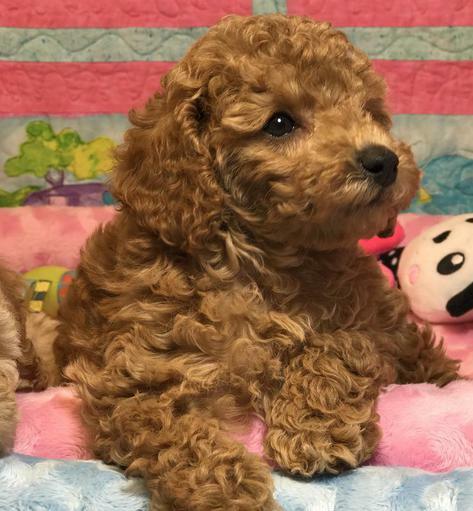 Beautiful champion sired apricot/red and white puppies are available now! ​If you don't see a response email, look in your junk (spam) folder. sometimes our responses don't go to your inbox.